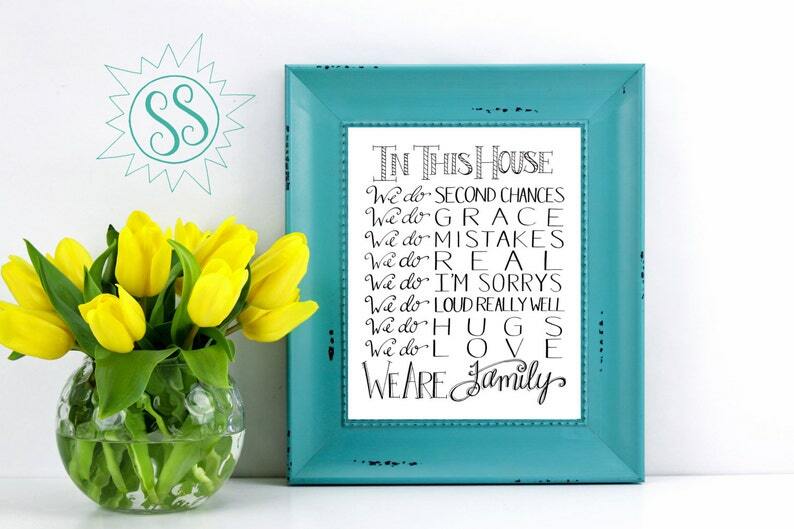 I love this version of a "House Rules" sign! It covers pretty much every important aspect of making a family work. Especially the mistakes part... BOY, is THAT accurate! And naturally grace, second chances, and 'I'm sorry's' follow closely behind. This would be great as a framed gift for Christmas or to purchase as a decoration for your own personal use at home! It would also be a great display or gift for a family reunion over the summer! The print turned out absolutely beautiful. The shop owner is extremely helpful with answering questions. And very fast to respond too! I highly recommend!